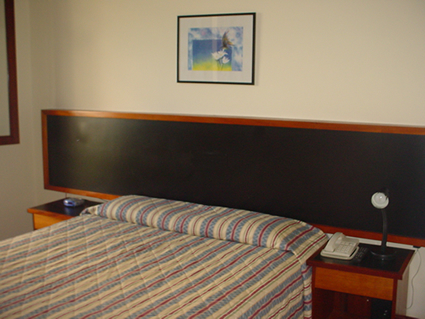 There are many options for hotel accommodations in Campinas' downtown but not too many near UNICAMP campus. The best alternatives for accommodation suggested by the Organizing Committee after comparing distances, prices and facilities, are the Sleep Inn Galleria and the Comfort Suites Campinas. The Organizing Committee will provide a free shuttle service to UNICAMP (it is a 10 minutes drive) for those who choose to stay at Sleep Inn Galleria or Comfort Suites Campinas. 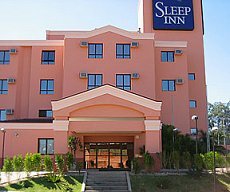 Sleep Inn is a well-known flag from an international hotel company. Each unit worldwide is constructed according to pre-defined standards. The name "Galleria" refers to a shopping mall next to the hotel, where you can find almost everything you might need but forgot to bring with you. A list of facilities and some pictures of the hotel can be found here. Reservations can be made by phone, fax or email. Don't forget to mention that your reservation is for the event ICCA8 at UNICAMP in order to get a discount. Breakfast is included. Some important information about currency exchange is available here. 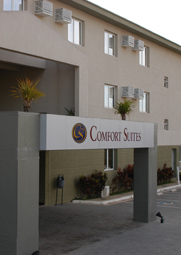 Comfort Suites is another well-known flag from the same international hotel company. It is classified as a category superior to that of Sleep Inn. A list of facilities and some pictures of the hotel can be found here. 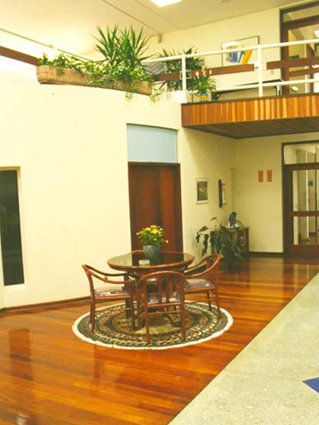 An alternative accommodation is at CPV (Casa do Professor Visitante). 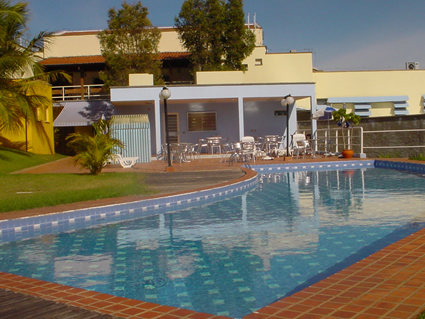 This a small hotel in the neighborhood of UNICAMP campus. It is located at a walking distance (approx. 500 m -- this is its main attractive characteristic) from the IMECC building, in a calm and quiet place near to a park with a small lake. 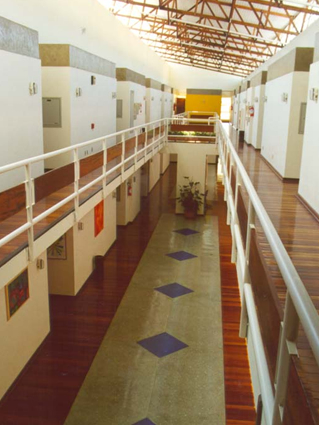 Below there are some photos from the CPV building and rooms. Breakfast is included and these prices are expected to have a small change during 2008. However, the number of rooms at CPV is very limited. 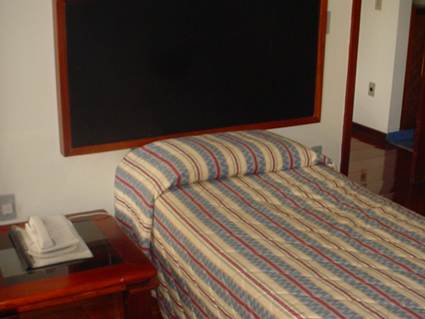 There are only 9 single rooms, 24 double rooms and 4 suites, with an average occupation rate of 60%. There are also some difficults in order to make reservations from abroad. If you want to stay at CPV, please contact the Organizing Committee. For a higher standard accommodation, the Organizing Committee suggests Noumi Plaza Hotel, and for a sumptuous one, The Royal Palm Plaza, which is an excellent hotel resort. Please note, however, that the Organizing Committee will not provide any shuttle service to these hotels. The transportation to UNICAMP and back will be only responsibility of the guest of these hotels.